GiVeAwAy!!!! RADICAL by David Platt!!! 10K in 20 Days...we are participating! It's time to CeLeBrAtE!!!!!! Soon, our dossier will be finished, and thanks to the Lord using so many of you, we have the funds we need to submit it! I think that's a reason to celebrate! If you haven't heard of this book yet, I'm surprised, because everyone seems to be talking about it. I have not read it yet (except for Chapter One which you can get here), but I have listened to the Radical sermon series online. It is powerful. It is radical. Sadly...and I say that because it is so obviously the clear call of Jesus when you read the Bible...and yet so counter culture to American Christianity. It resonated with me, because these things have been on my heart for a while. I can't wait to read it! I plan to get myself a copy to celebrate this milestone in our adoption process. But...I figured I shouldn't be the only one having all the fun!! First, become a follower of my blog (if you aren't already), either with Goggle reader or Facebook networked blogs, or subscribe by email or RSS feed. (All links to the right.) This way we can be friends for longer than just today! Finally, leave me a comment or send me an email and let me know you've entered! Be sure and do this each time you post, so I know how many times to enter you! This giveaway will end on May 31st, and I will draw the winner on June 1st. 5 days, folks!!! Enter now so you don't miss your chance to get this great book for FREE! Certainly I am not the only one who's excited about this?!!! 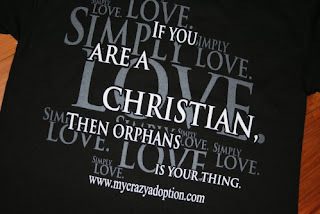 10K in 20 Days...join the movement & help 26 families (including us) with adoption! Tons of great prizes...go here to enter! Melissa is giving away one of her new necklaces!! Go here to see them and enter! 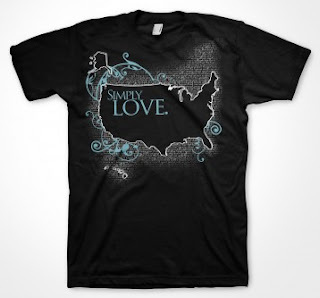 Erica is giving away a Simple Love shirt of your choice! Go here to enter! Tracy's giving away some great bracelets made in Haiti! Go here to enter! Yea!!! No one loves free stuff more than me! Go over and enter today! 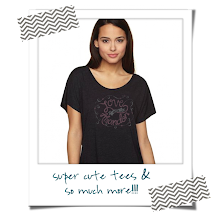 So much to say...and--for a limited time-- SIMPLY LOVE TSHIRTS!!! God is SOOOOO good and there are so many things I want to tell you about RIGHT NOW!!! But, in an effort to not overwhelm you with information and to pretend like I know how to pace myself, I'm going to take a deep breath and take it one thing. at. a. time. First, last weekend's fundraiser. So wonderful. God raised exactly what we needed. 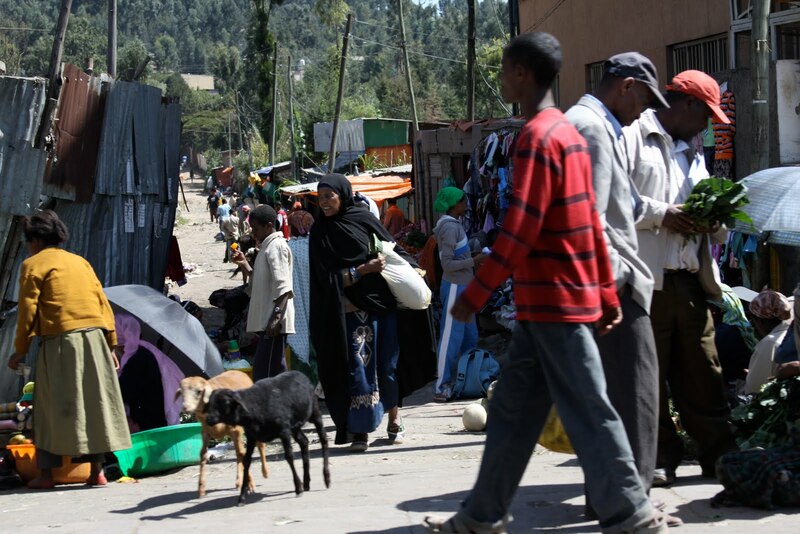 Our funds for our dossier are IN and now, we just need the last few pieces of paperwork to come in and then it will be authenticated and off to Ethiopia! I want to tell you more...show you more...from last Saturday...and I will...in another post. To celebrate, I've been wanting to do a giveaway. To say thank you for all of your help getting us this far. To rejoice in what God has done. And just because it would be fun! Also, two of my friends are doing giveaways, and I want you to know about those!! But...not yet. Don't worry, I will...soon...tomorrow...in another post. I have a new friend, who I met via this blog a couple of weeks ago. We've never met. She contacted me about doing something special for our family to help with our fundraising. To be a part of our journey. How humbling. How fun! Wait until you see what she is making...sooooo precious. I promise, I will show you...in another post. 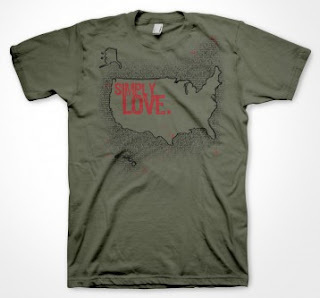 So Erica has been selling Simply Love shirts for a while to fundraise for her adoption. You might remember these, because we sold them for our mission trip as well. 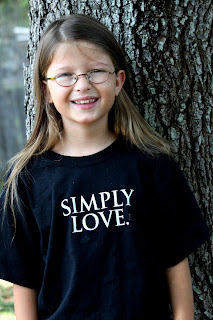 We Walsers LOVE our Simply Love shirts. I'm looking over right now at Nathan, eating his lunch at my kitchen table, and guess what he's wearing? Yeah. Pretty much we live in them. So Erica is allowing me to piggyback on her pre-order sale and sell shirts this week to fundraise for our adoption! Yea! 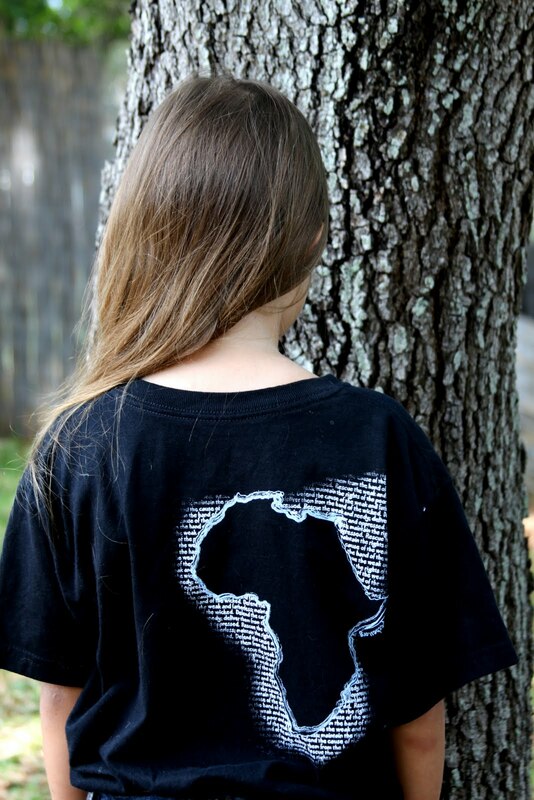 And she has Africa AND USA designs! 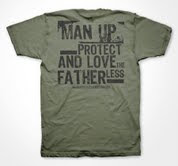 Just in time for Father's Day!!! Seriously, these make great gifts, and I can ship them to whatever address you choose! I'll even include a personal note from you if it is a gift! These will be ordered next week, so I NEED YOUR ORDER BY JUNE 1ST!! Pay via Palpal button to the right that says "Help bring home Walser #7--Donate!" That's it! Sit back and let me do the rest! Let me know what you want---you have until June 1st!! If you have any questions, feel free to contact me. And be sure and check in tomorrow to hear about the giveaways! So, sometimes fundraising really stinks. As I mentioned a while back, here, this is not the first time my family has fundraised. It is one of the most humbling, difficult, pride-swallowing things I've ever done. Erica wrote a post yesterday about that very thing. At times it is a discouraging process, and for someone like me, who is a people-pleaser, it is hard to put the need out there and know that people are drawing their own conclusions and judgments about your character and your motives. Today my friends did that for me. They served for hours prepping for my fundraiser tomorrow. And today I feel like a lucky girl, with great friends. I would never wish fundraising on anyone. And yet, in some ways, I think if you don't have to, you miss out on an incredible blessing. Namely, watching those you love (and some you may not even know) come along side and offer to hold up your arms. My bloggy friends are just another example of that in my life, on this journey. For example: my friend, Connie, who I've never met, is having a garage sale on the other side of the country for us & 4 other families this weekend. Seriously?! Who does that?! Who has that done for them?! I certainly never have! How do you receive that kind of grace? All i can say is-- with your head bowed and your heart filled with praise. So, sometimes you might hear me complain about the fundraising part. But know, deep down, that I know that I know that I know--my Jesus loves me. I know because my friends are Jesus to me, and they showed me that love today. I am blessed. Oh, yeah, and a sneak peak of tomorrow...details here...it's gonna be a blast!! Those of you who plan to come, there will be baskets for each item, and you can choose which items you want to enter your tickets to win! We will also be serving a dinner of baked ziti, caesar salad, bread, & dessert for a suggested donation of $5/person. Families are welcome and ---please---bring a friend! This is an open invitation!! Let me know how you want to pay: give me cash or check, mail me a check NLT Wednesday, or donate via Paypal to the right and include a comment that it is for your tickets. I'll call or email you on Sunday if you've won to make arrangements to get your prizes to you. It's that simple. This is a great way to be a part of our event even if you can't physically be there!! Would you pray for us?!! Pray for this to be a great event, a fun time for all, and that it would bring us one step closer to bringing our child home!!! If you are like me, often when you see video links you don't take the time to watch them. And because of that, if you're like me, it takes about 100 people reposting the same video to make you realize, hmmmm...maybe I should actually watch this. 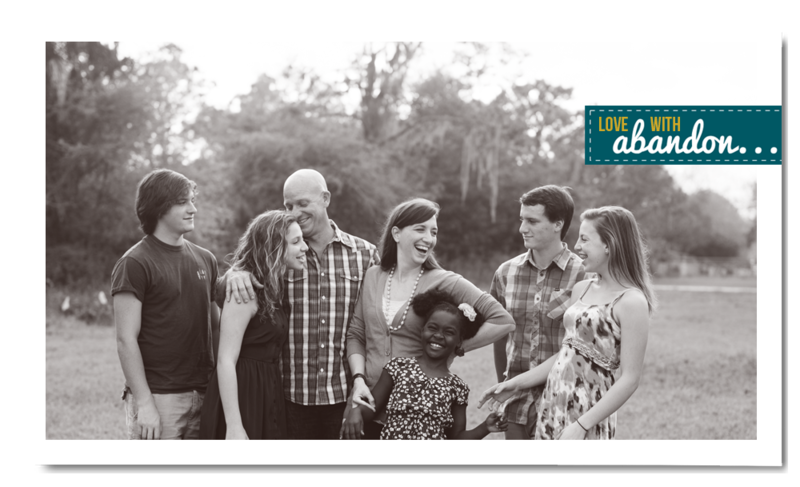 This is an awesome testimony of a guy who was adopted into a trans-racial family. Watch it and be moved. My friend Kim is selling some great shirts that she designed after seeing the video above. Check it out and see if you don't want one for yourself! And then I saved my favorite for last. 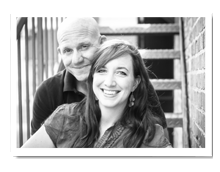 This is the Vogeltanz family's "Gotcha" video, which is the day they picked up their little girl in Ethiopia. But it is soooo much more than a gotcha video. It is the heart cry of so many of us who have or who are adopting, and so beautifully expressed. I have never met this family, but I have a special love for them because they are church planters as well, and they did so with dear friends of Joe and mine from seminary. Watch and be blessed. 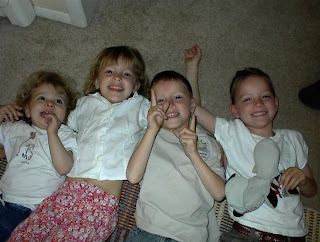 Evyn's Gotcha Day + Adoption story from emily Vogeltanz on Vimeo. And once you've wiped your eyes enough that you can see clearly again...go check out Erica's Africa cookie cutters! They are adorable, cheap, and help fund her adoption! I LOVE mine!! Fun for so much more than just cookies...get yours before they're gone! 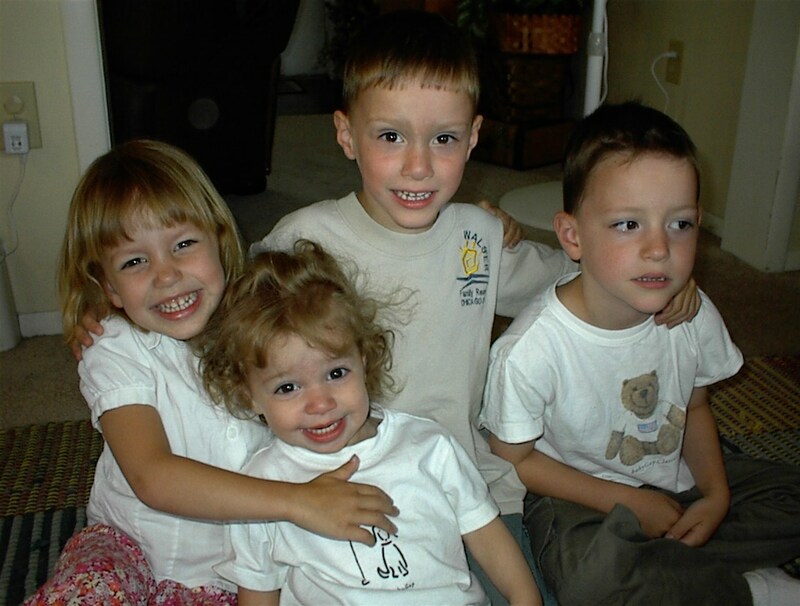 About 8 years ago, when my kid were little (ok, now I feel old), we had just moved to New Jersey from Nebraska, and I was asked to introduce myself to a group of ladies. I gave them a pop quiz in the form of multiple choice, and asked them to pick which answers they thought were true of me. One of the questions described two different versions of a "day in the life" of me, and I asked them to pick which one they thought was true of me. Quiet solitude and prayer time with the Lord. Throw in a load of laundry in the basement on the way to the treadmill for a workout,then move the clothes to the dryer on the way up to take a hot shower before the kids get up. Fix a nutritious breakfast for the kids, begin a loaf of bread in the bread machine for lunch, and pull something out of the freezer for dinner. Wake up my little darlings, who quickly dress, make their beds, and eat breakfast. Spend the day finishing all the laundry, balancing the checkbook, reading to the kids, fixing a leaky faucet, emailing all of my friends, updating my scrapbooks, teaching the kids to diagram sentences, and planting bulbs in the garden. While all four kids nap, I read a great book on the Christian life and flip through a decorating magazine. Greet my husband as he returns from work with a kiss and a tidy home filled with the tasty aroma of a home cooked meal and freshly vacuumed carpet. Give the kids a bath after dinner, then visit with Joe on the couch while they quietly put on their PJs and brush their teeth, ready by 8 for their bed time story. Get hugs and kisses from the four cutest kids in this world and climb into bed with the man of my dreams. Kids wake me up just in time for Barney. I offer a quick prayer for patience as I carry my Danielle to the kitchen, all while she’s screaming “BOTTLE” in my ear. Unglue the kids bottoms from the couch and begin the hour long process of picking dirty cloths off of the floor, changing diapers, fixing Hannah and Danielle’s hair, only to have them remove the pony tails within minutes, and telling Josh he can’t wear the same Chicago Bulls shirt three days in a row. Throw some lucky charms in a bowl and instruct the kids to dig in, while I go to empty a dishwasher that I discover I forgot to turn on last night. Wonder at 10:30 where the morning has gone, and what the heck I’ve been doing for the last 3 hours. Send the kids outside to play, telling them all moms make their kids play outside in 30* weather. Wonder at 1:00 if I’ll get anything done today and realize I should probably feed the kids something for lunch. Put the kids down for a nap, and spend the next 2 hours trying to convince the boys that 4 years old is not too old for a nap. Give in and let them play on the computer instead. Greet Joe as he returns from work and help him up off the floor after he trips on one of Hannah’s baby dolls. Realize that I haven’t even thought about dinner and beg Joe to order pizza. Attempt to catch up with Joe about our day, and end up yelling over the noise of four toddlers chasing each other all over the house, only to loose my husband to the chaos as he joins in the chase. Collapse exhausted on the couch at 9:45 as Joe reads the kids their Bible story and prays with them. Get hugs and kisses from the four cutest kids in the world, and climb into bed with the man of my dreams. Some things have changed. Some haven't. 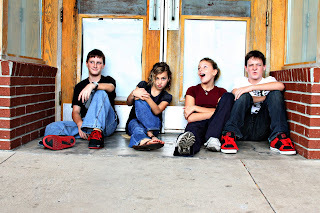 But one thing is for sure: my kids are growing up. With tears in my eyes, I am trying to remember yesterday with thankfulness, embrace today with an intentional awareness of the joy found in the ordinary, and look forward to tomorrow's version of what being a mom will mean for me. 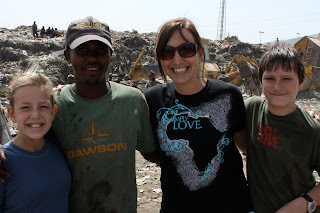 It has been three months since Nathan, Hannah, and I returned from Africa. In many ways it seems like we were there only yesterday. In others, it seems like an eternity ago. **I am blown away by the response I have gotten from this post. It means so much to know I am not alone in this process and this journey! As many of you have asked, YES!, feel free to share this post with others. All I ask is that if you do so, please be so kind as to link back to my blog, preferably, instead of copying the post itself. And please leave me a comment or email me and let me know--I'd love to meet you and visit your blog as well! Thank you again, and may God use all of it for HIS glory!